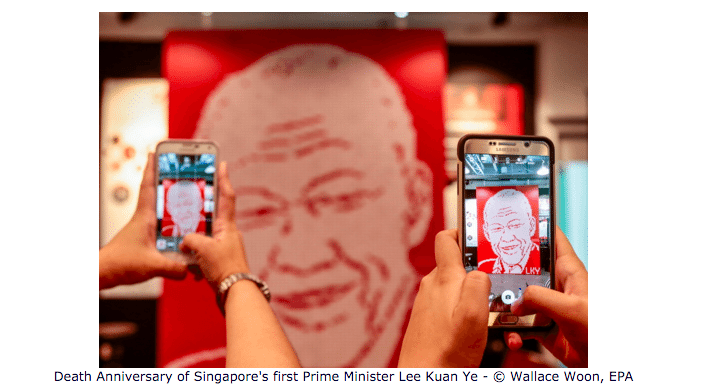 Critics observe, that a year after his passing, the veneration of Singaporeans for their country’s founding premier Lee Kuan Yew seems to – if anything – have increased. The past month has seen a wide range of projects by officials and spontaneous citizen initiatives springing up to honour his legacy. When Lee first died I wrote a personal reflection that was published in the Guardian. It was a piece that sparked anger and I was accused of being a traitor. My crime? 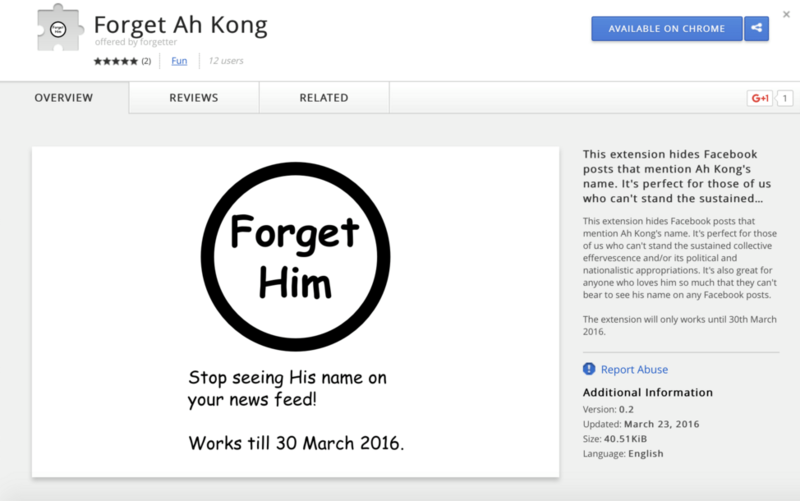 For daring to suggest that Singapore might have done all right without Lee Kuan Yew. For having the cheek to imagine a Singapore that wasn’t tied to one man. 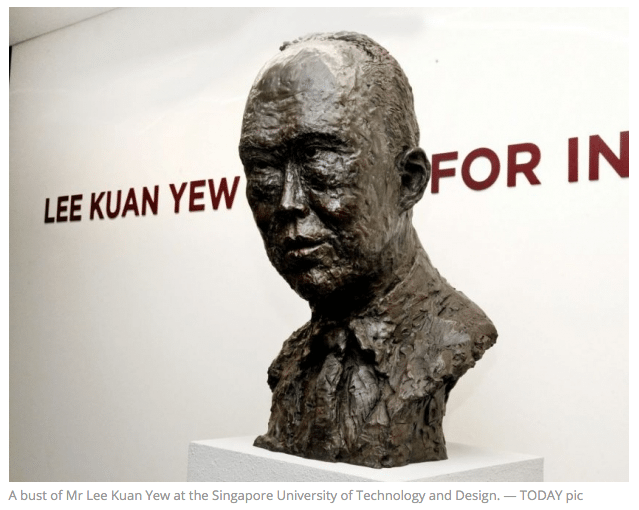 Doubt was disrespect, questioning was ingratitude — in the eyes of some Singaporeans, there are no other paths apart from the one Lee chose for us, and any suggestion otherwise was unpatriotic. From ‘Remembering Mr Lee and his values’, published in The Straits Times on 19 March 2016. … he’s still a man. Elevating him to a sacred position beyond reproach or criticism would do more harm than good to Singaporean society in the long run, and that’s even before mentioning that the man himself would have hated being turned into an icon for worship. We don’t need more books about how much ice cream he ate, nor do we really need tours to gape at the sort of food he liked and where he ate them. Our children don’t need picture books portraying him as the sole architect of every bit of Singapore’s success, and we certainly don’t need more posters and memorials to remind ourselves not to forget him. What we need is to be able to think critically and maturely, to remember him in the proper context, to restore to their rightful places other individuals who have made an impact on our history and society, and to strive to see both Lee Kuan Yew and Singapore as they really are. In Lee’s former constituency of Tanjong Pagar… People have been holding up pictures of the late leader as they visit the blooms – a specimen of Aranda Lee Kuan Yew – an orchid species named after the late leader… Citizen’s initiatives included a silent candlelight rally, a guided tour of his favourite haunts in Singapore and a bound collection of oil paintings depicting Lee. We are kinda new to this sort of grieving. A Death has occured, and not just any death, it’s the death of a man that was a revolutionary statesman, a revered grandpa, and a doting husband all at once. What we do know, is that the wound of grief never fully heals; the scar may fade, but it will always be there with us. You never get over grief but you do learn to live with it. And just as it takes the experience of death to know of grief, it also takes the experience of recovery to know that all of us will eventually recover. 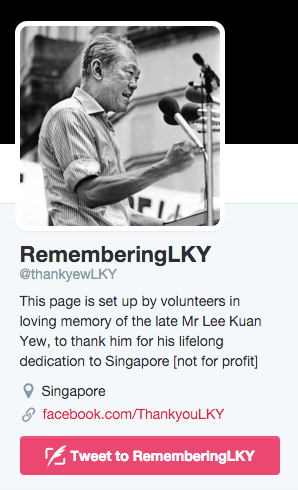 Gotta wonder what #RememberingLKY #TwoYearsOn will bring, eh?